Turn your photos into a work of art. Our canvas frames feature museum style wrapped edges, professional quality printing and a premium 1 3/4" frame depth. Canvas prints are the perfect way to display cherished memories in a grand way. Turn vacation photos, family portraits or company event pictures into stunning canvas frames quickly and easily. 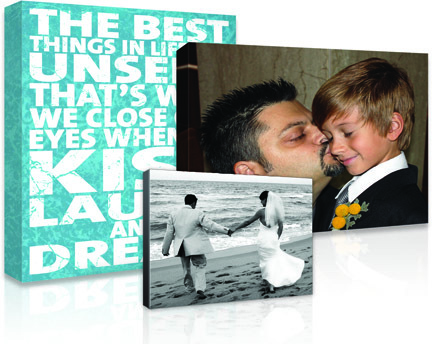 Remember canvas frames as a one-of-a-kind gift option for the hard to shop for person that has everything else. Simply upload your photo by using our Place A New Order page and let us know what size you want and we will begin the process. These are prices for our most popular sizes, custom sizes are available.